As a college or university student, you can avail of the printers and photocopiers on campus. Having said that, it is highly unlikely that you will make it through 4 years of college or university without having to print some assignment at the last minute, and quite likely during the night. To avoid adding to your stress levels, it would be wise to invest in a small personal office printer, that does not cost too much to buy and to run, and that does not take up much space in your room. A good student printer nowadays does more than just print, it scans documents, it copies them, it accepts USB and SD cards, and it is wireless if you have Wi-Fi – so there are no leads needed to print from your laptop, and for those students who have smart phones and tablets, Airprint enabled printers gives you further mobile printing opportunities. As your printing will be sporadic but will often require an output of high quality graphs and images, we suggest a good inkjet printer. We recommend the Brother DCP-J4120DW as an ideal all-in-one wireless printer with double-sided and A3 print capabilities and mobile device connectivity. This printer will meet all of your student printing needs as mentioned, and uses high-yield ink cartridges making it cost effective to run, and it has the added bonus of complying with many energy and environmental standards! If you are working from a home office either occasionally or full time, you will need a printer or photocopier that has some of the multi-function features of a printer in a large office, without the need for a big device taking up desk or floor space. 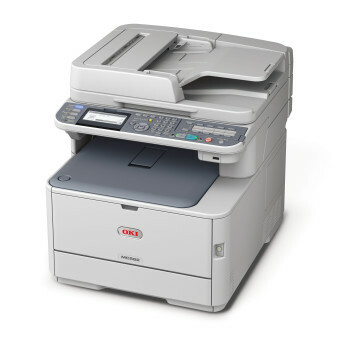 A multi-function printer will print, scan, photocopy and even fax if required. 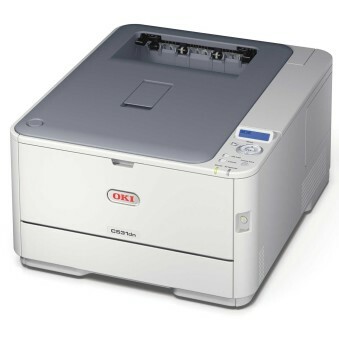 A laser printer is probably a better option over an inkjet printer if you plan to print regularly. 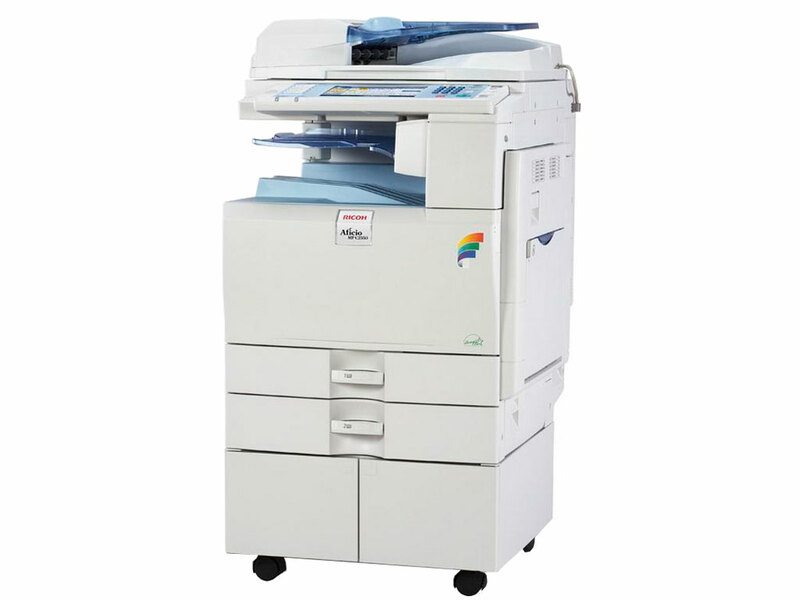 While laser printers are initially more expensive to buy, the cost of laser toners are less expensive to replenish when required. 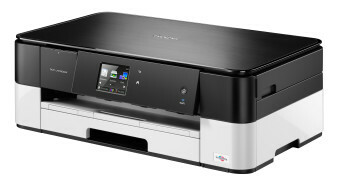 A networkable printer will connect to the internet, enabling even more features such as scan to email and wireless printing. If you decide to purchase a small printer from a retail outlet, be aware that staff work on commission to shift certain models and brands, which might not be necessarily the right product for your business. In our opinion, the OKI MC362 will give you the facilities of a multi-function printer without taking up too much space and without the cost of expensive toners. If you are establishing a new small business, check out our detailed advice in 5 Printer Tips For A Business Start-Up. If you are running a small office, all of the above requirements of a home office printer apply, such as multi-functionality, small floor space, and the cost efficient replenishment of toners. As you are likely to have a small number of staff also using the printer, you need to opt for a printer with a higher volume usage of between 1 – 15 users. We recommend the OKI MC562 as a great printer for a small office, we have sold a huge number of this model to start-up and small businesses with very positive customer feedback! Having said that, like all businesses, you will hope that your business will expand. If you are beginning to note an increased outlay on paper and toner expenditure, it may be time to look at a different option to keep control of your increased printing costs. 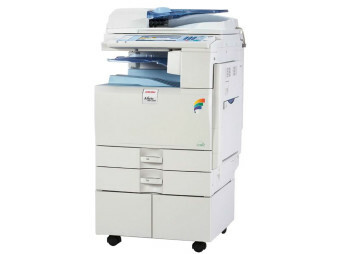 There are high quality refurbished larger multi-function printers and photocopiers on the market. 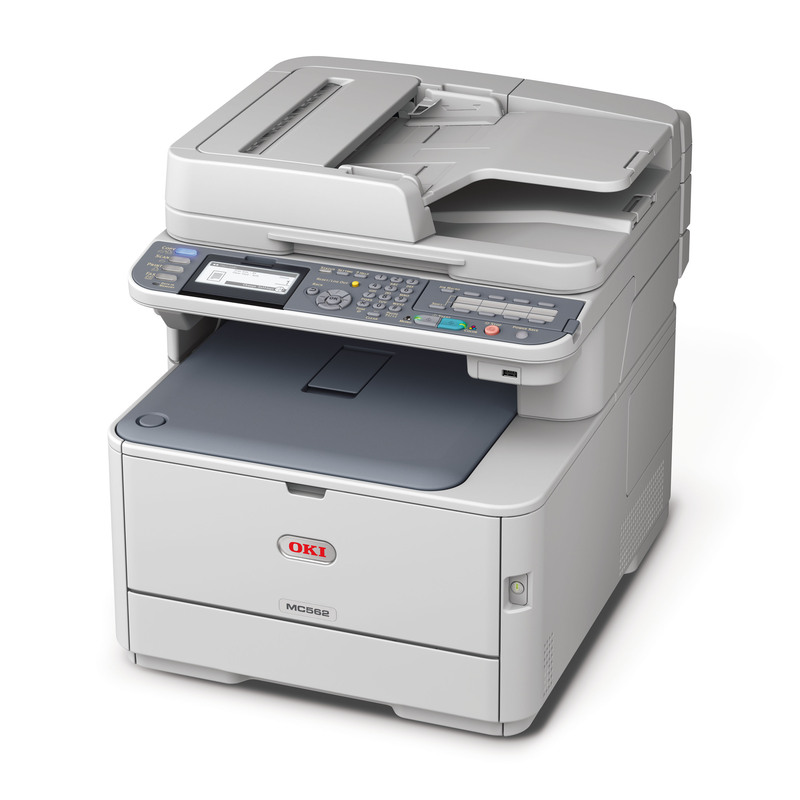 A natural step up from the OKI MC562 is the RICOH MP C2500. As well as the multi-function printer and photocopier itself, we would recommend that you look at a cost-saving solution such as a Managed Print Service. With a Cost Per Copy option using a service company you usually pay for every copy you print in an end of month invoice, and all service calls, parts and toners are included, so you will have no sporadic costs on expensive consumables and photocopier maintenance. The technology available readily to a small – medium office has changed dramatically in the past few years. The presence of a multi-function printer and photocopier is now taken for granted. High quality printing, speed of printing, good value and reliability are also vitally important to ensure the consistent productivity of employees. Users are now also demanding that print technology allows printing and scanning from mobile devices such as phones and tablets for sales tools and general communication. This is called SMART printing. SAMSUNG a global power brand has recently established itself in the printer market, and like many other consumer goods markets, this brand is driving the forefront of technology in print also. 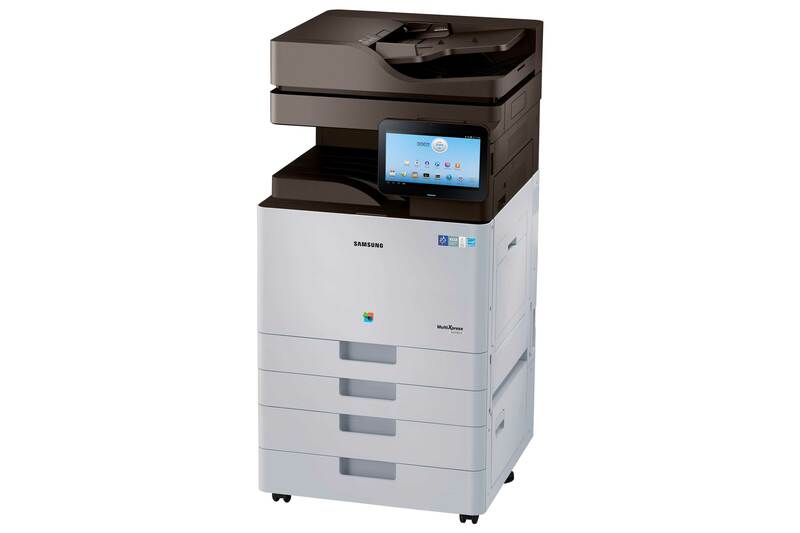 The colour multi-function printer that is most suitable for a small-medium sized office is the SAMSUNG SL-X4250LX which produces 25 pages per minute meeting ALL of the important user expectations as mentioned above. The user interface is just like a tablet, with many preloaded apps and widgets to enhance the user experience. Just like everything from SAMSUNG, the SMART hardware technology driving the functionality of the printer is the best in the market – printing is faster, there are more variable options by individual user, resolution is twice as good, images and text are sharper and there is lower energy consumption – all versus a typical printer. The best news is that unlike most innovative and new to market products, the SAMSUNG range of printers and photocopiers are accessible to most small – medium sized office expenditure budgets and they have been rigorously tested to bring printing in the office environment to the same level that you would expect from technology within your home and entertainment venues! When it comes to choosing the right printer for a marketing office, from our experience, we would always advise that you choose a printer or photocopier for the exclusive printing of marketing materials and that all other general printing should be done on another multi-function printer. The reason for sole use of a printer for marketing materials is that you will be using quality original toners to print high resolution images and graphics in Powerpoint presentations, letters, CD labels, posters, flyers and banners. These toners are obviously more costly to buy. There is no need to print general documents using these toners and the marketing printer. The ideal printer for marketing departments is the OKI C531. The OKI C531 prints sharp, clear and vibrant documents, including business cards, banners, CD/DVD labels, and more in high definition colour, on a range of different media weights up to 220gsm and sizes in-house. You can save time, money and hassle by being in control of what you print, without having to rely on a professional print house. We think that this printer is ideal for between 1 – 10 users. 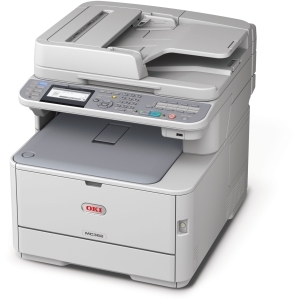 You will agree that our opinionated compilation of the 5 Best Office Printers is both complex and your choice will ultimately depend on your usage, budget and location. It has taken us years of experience working with many brands of printers and photocopiers, to become experts in this office technology. Don’t try to over analyse the market as you may tie yourself up in knots, we do however hope that our common sense pointers and product choices will guide your thinking and purchases. At Able Office Systems, we are always available to offer you further advice on the perfect printer and photocopier choice for you. Why not contact us for a free consultation!